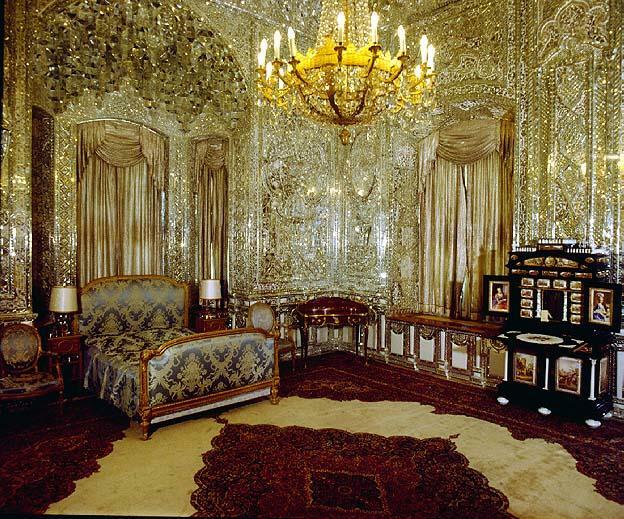 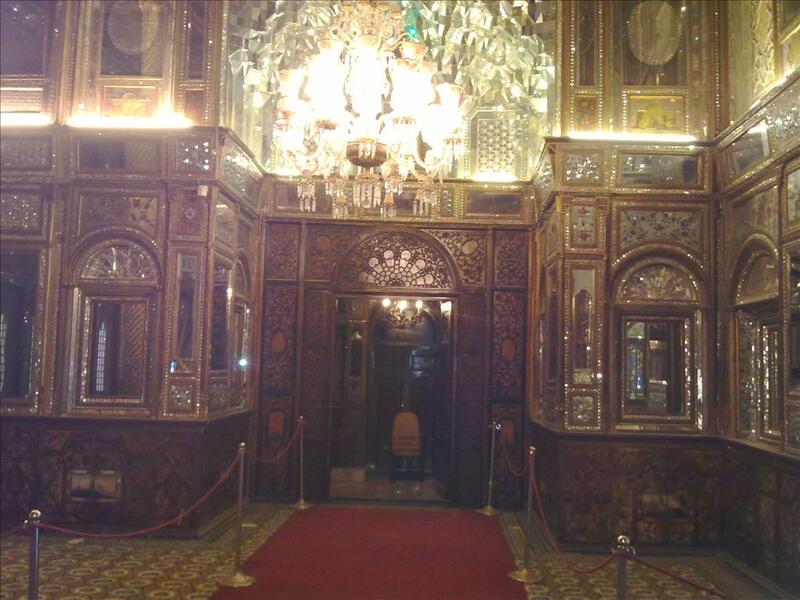 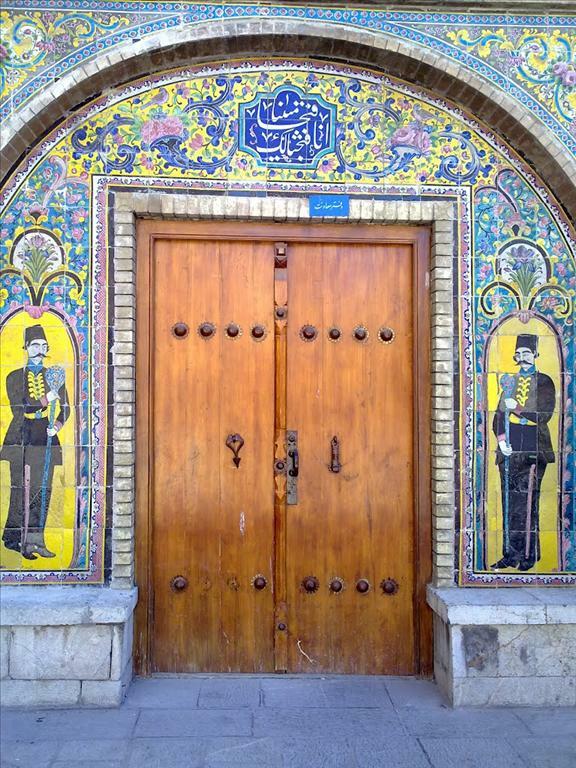 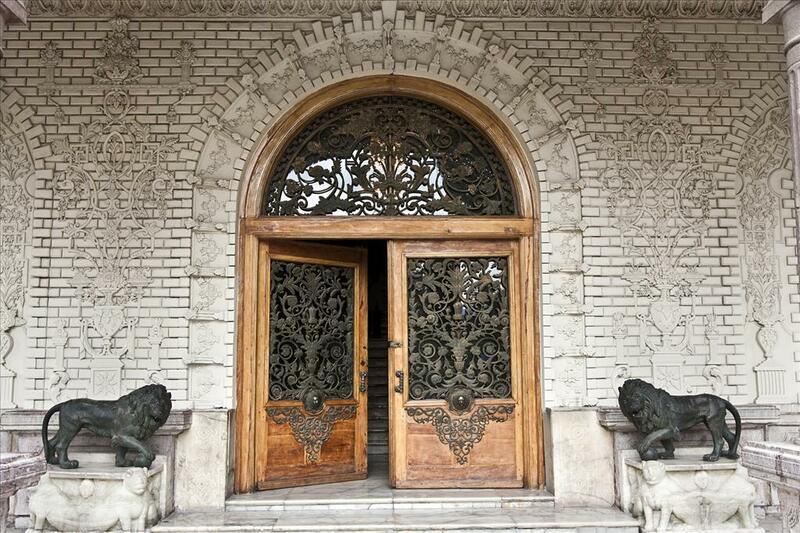 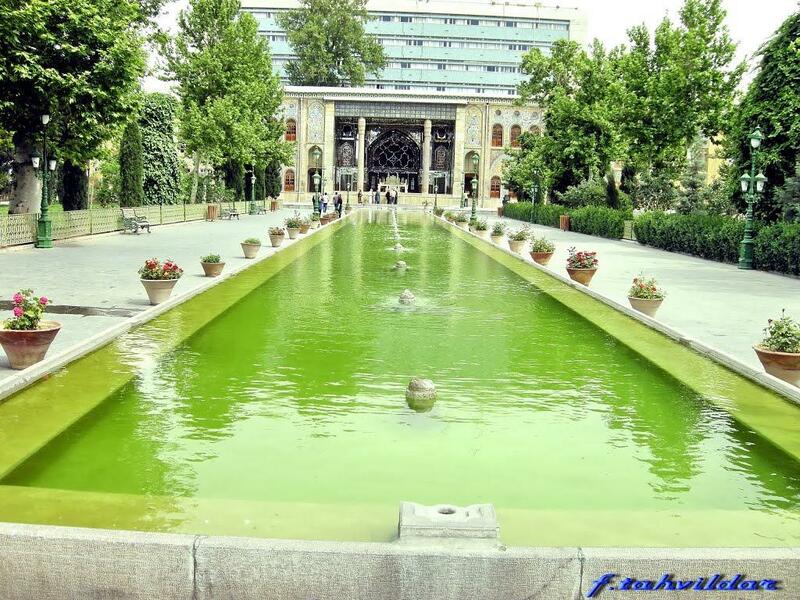 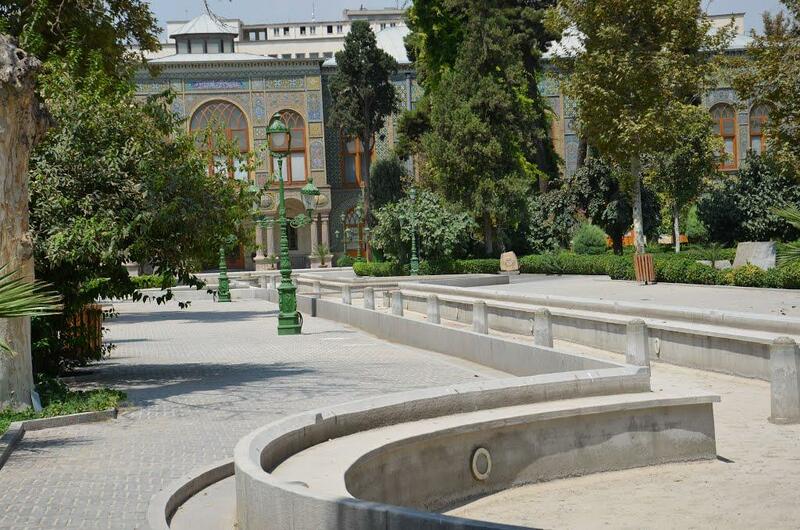 The Golestan Palace literally the Roseland Palace, is the former royal Qajar complex in Iran's capital city, Tehran. 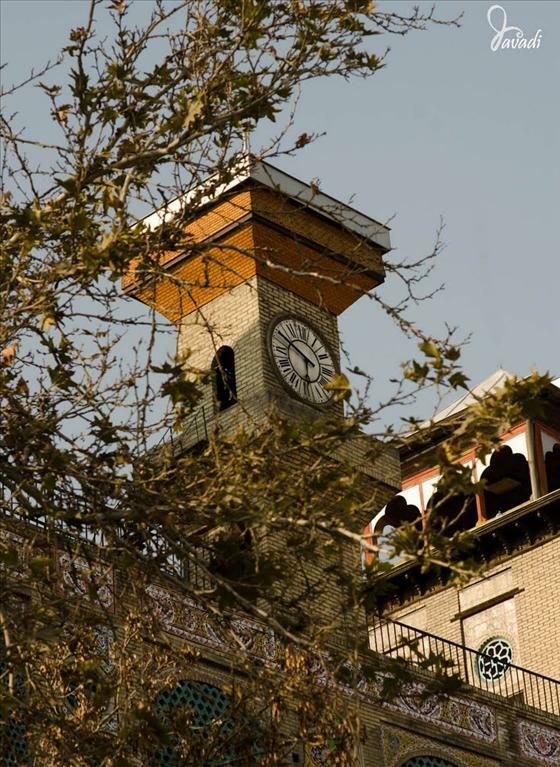 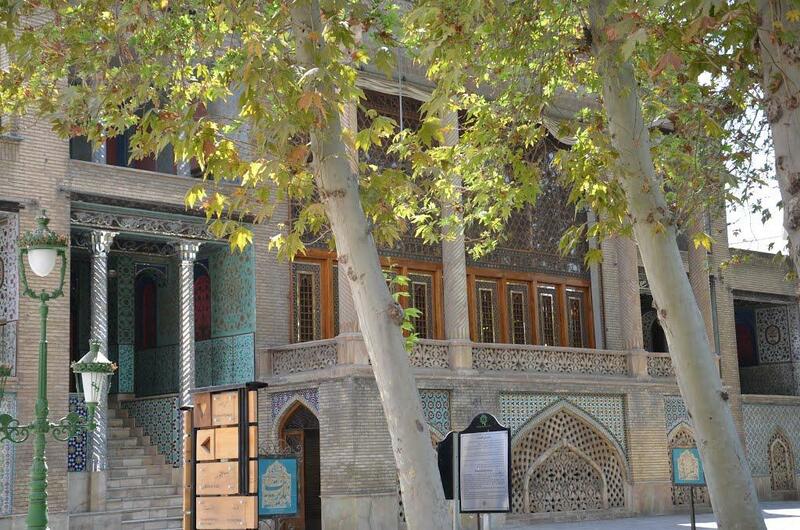 The palace was built during the reign of Tahmasb I (r.
1524-1576) of the Safavid dynasty (1502-1736), and was later renovated by Karim Khan Zand (r. 1750-1779). 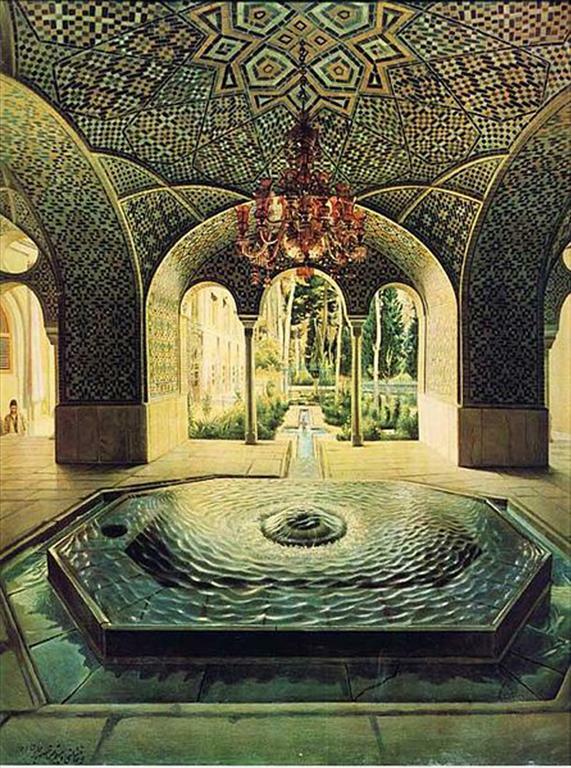 Agha Mohamd Khan Qajar (1742-1797) chose Tehran as his capital. 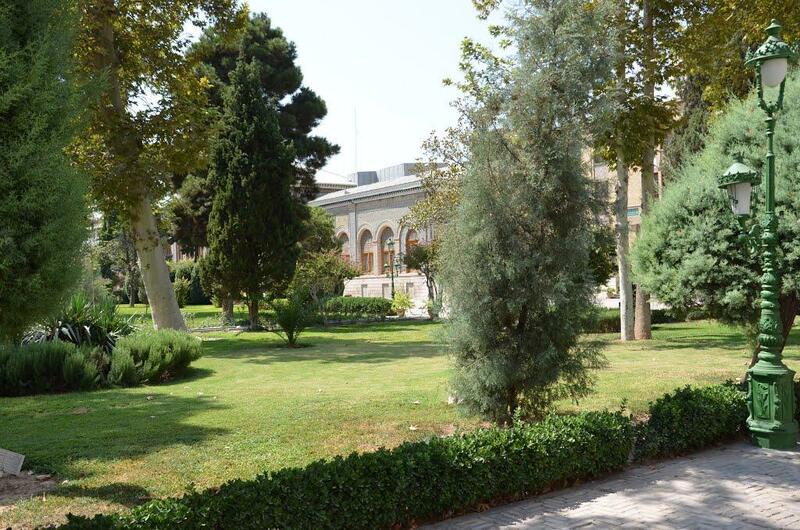 The palace became the site of the Qajar (1794-1925). 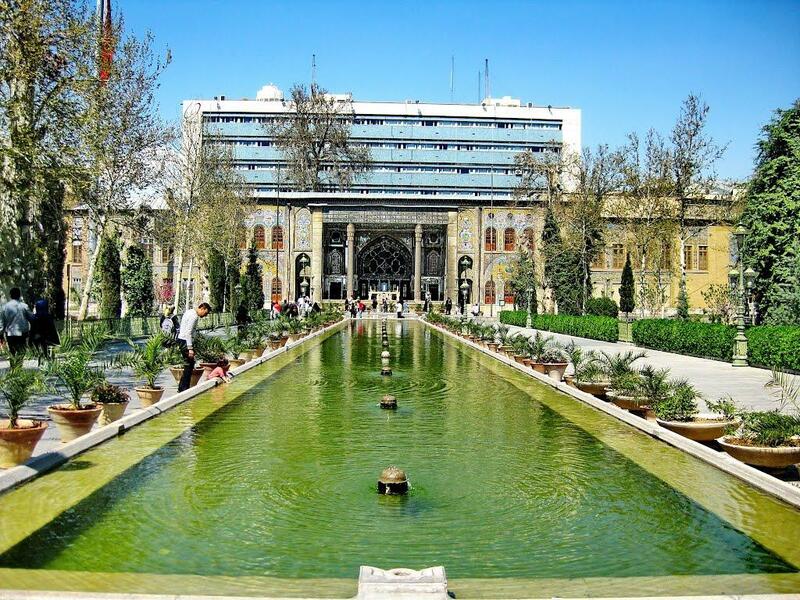 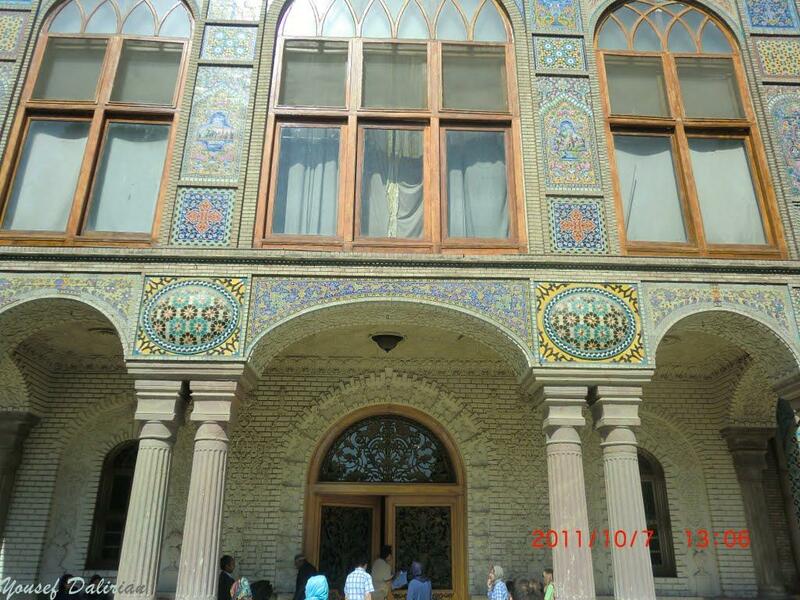 Court and Golestan Palace became the official residence of the royal family. 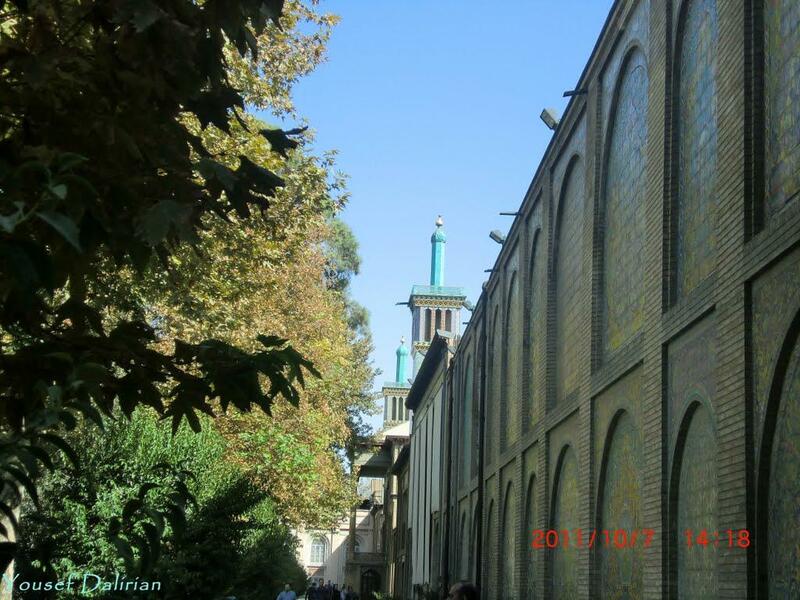 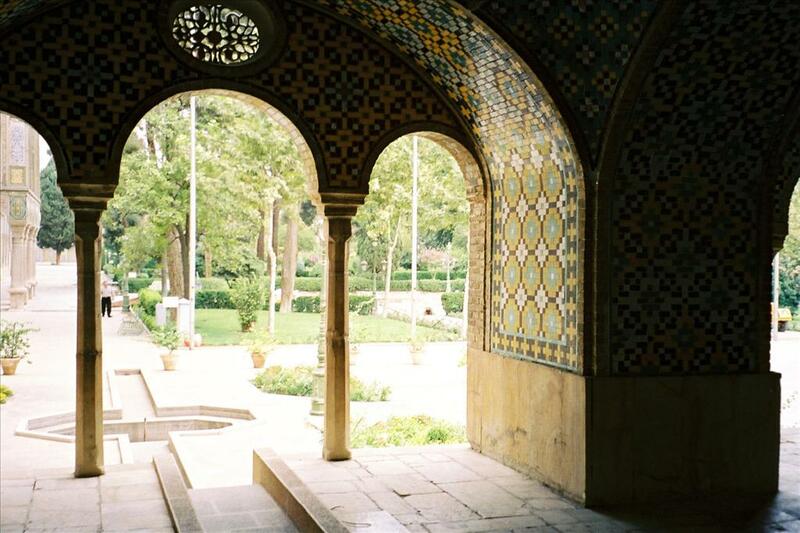 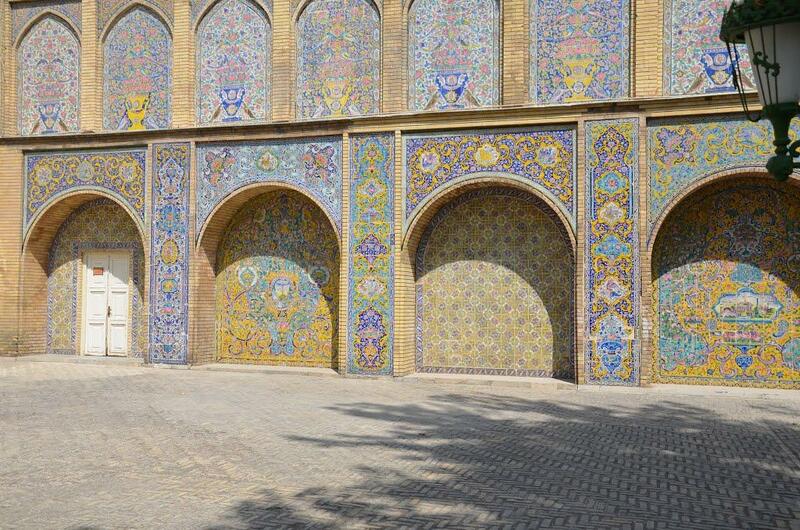 Golestan Palace complex is made up of several grand buildings set around a carefully manicured garden. 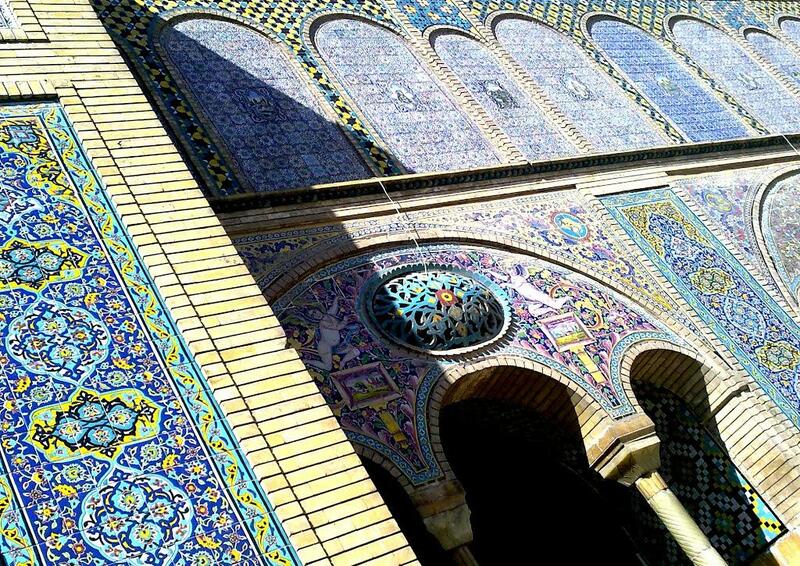 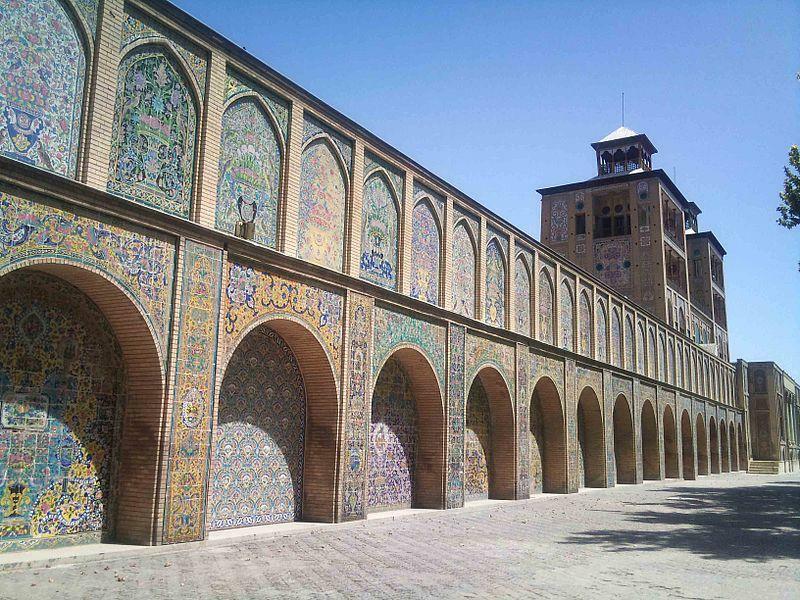 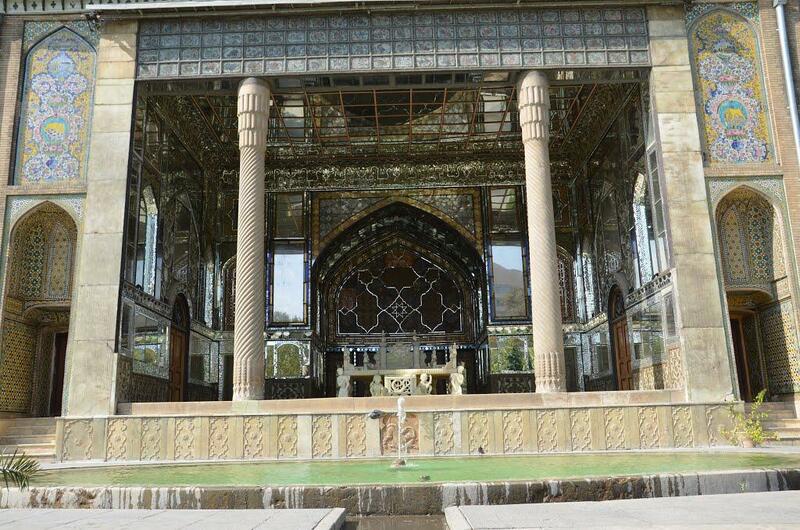 Golestan Palace Complex consists of 17 structures including palaces, museums, and halls. 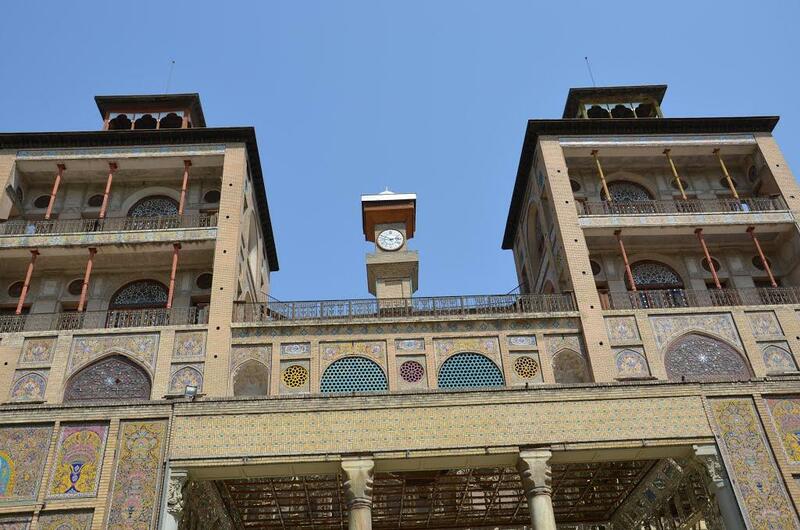 Almost all of this complex was built during the 200 years ruling of Qajarian kings. 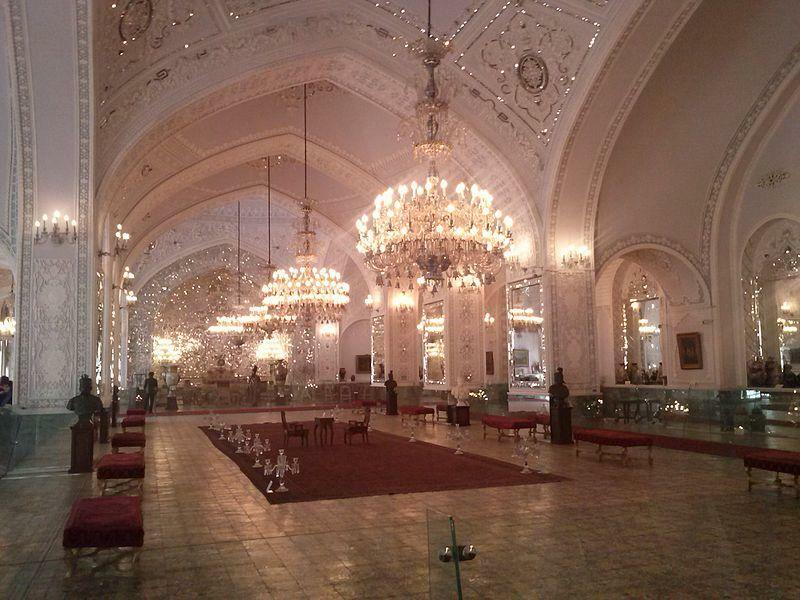 These palaces were used for many different occasions such as coronation and other important celebrations. 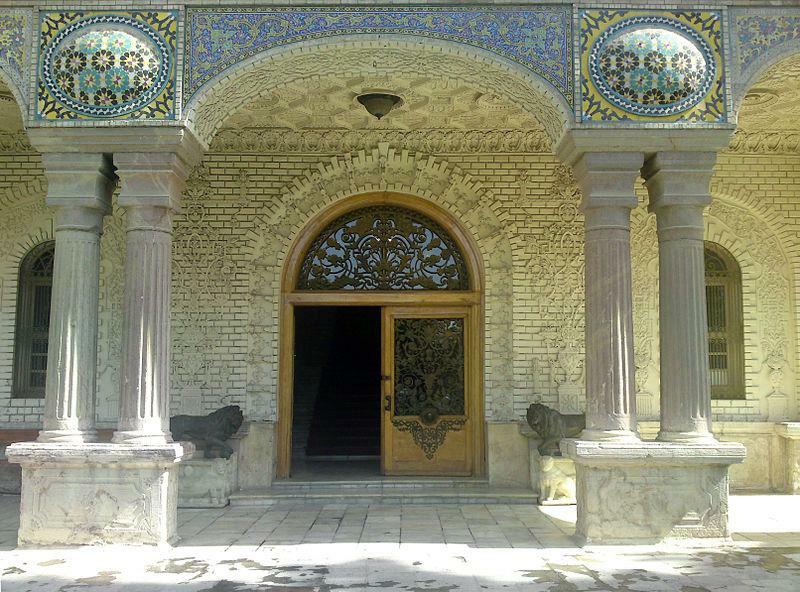 The complex of Golestan Palace represents ...see more an important example of the merging of Persian arts and architecture with European styles and motifs and the adaptation of European building technologies, such as the use of cast iron for load bearing, in Persia. 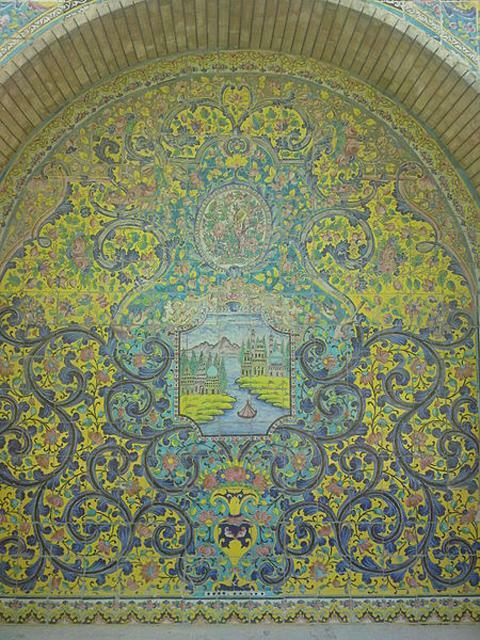 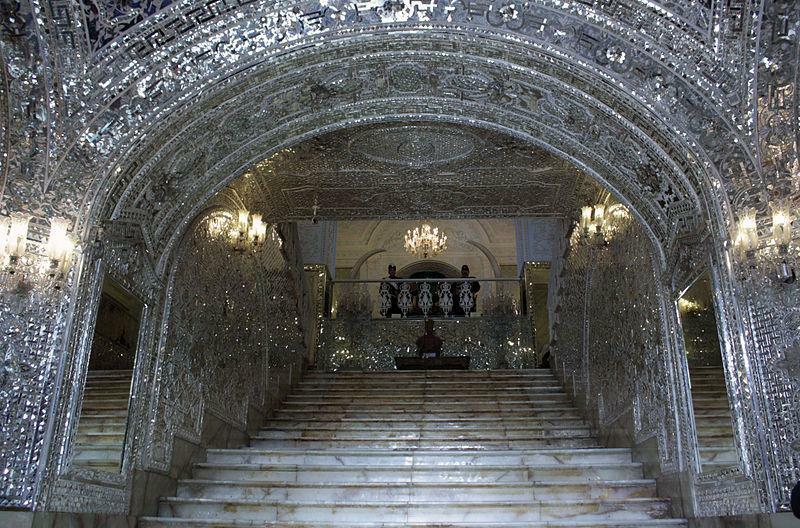 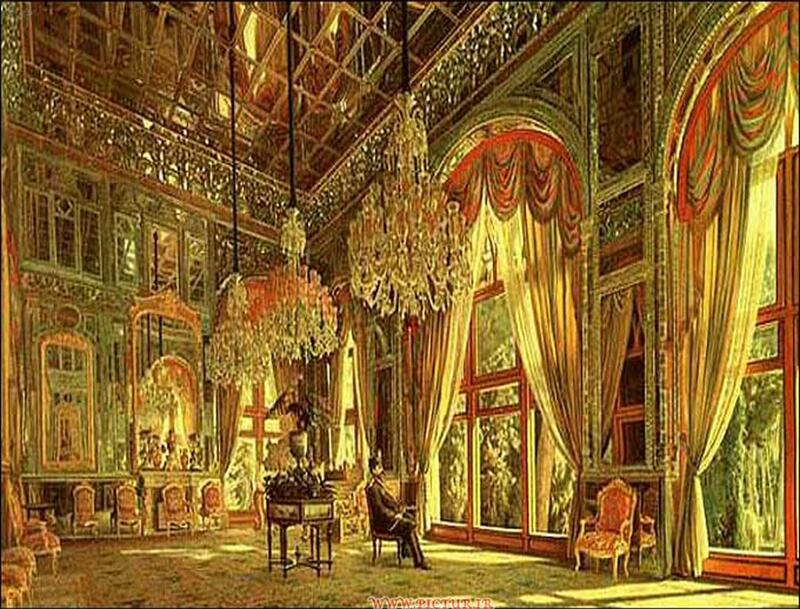 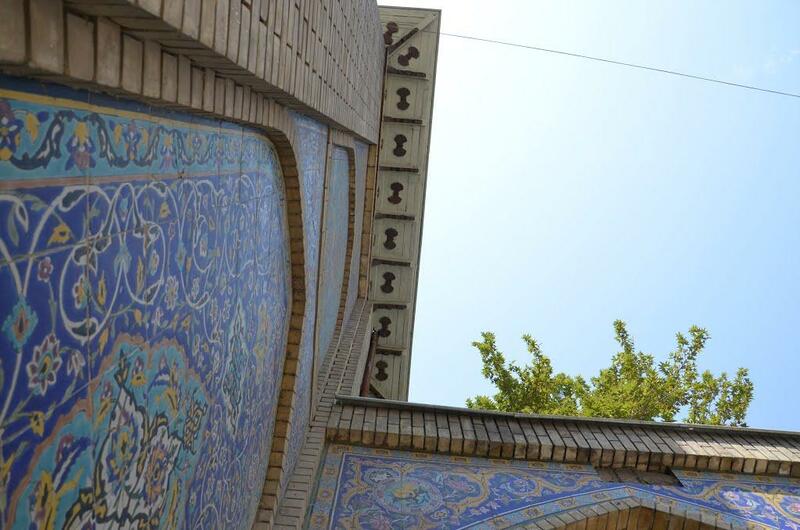 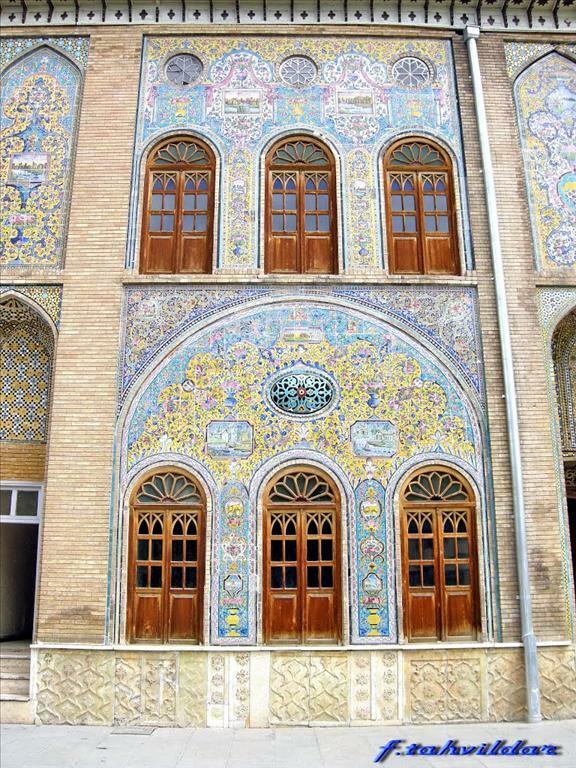 As such Golestan Palace can be considered an exceptional example of an east-west synthesis in monumental arts, architectural layout and building technology, which has become a source of inspiration for modern Iranian artists and architects. 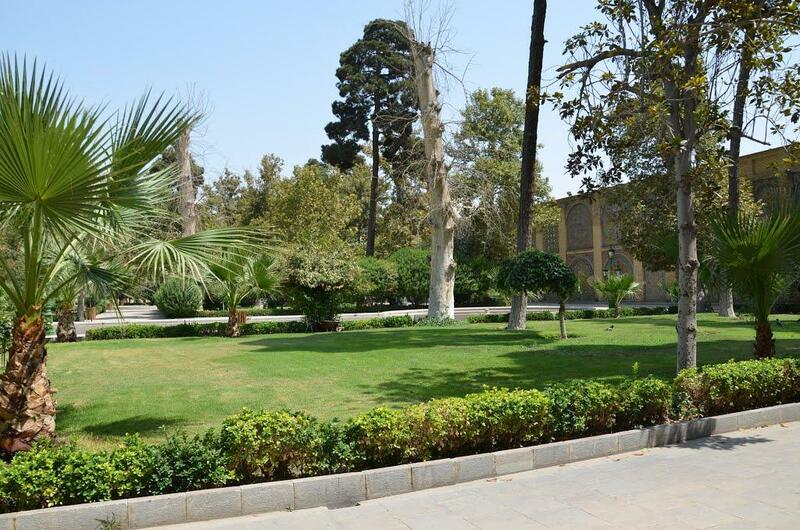 The complex, in its current condition, consists of two connected gardens, a smaller one on the west and a larger one on the east, and the buildings that surround them. 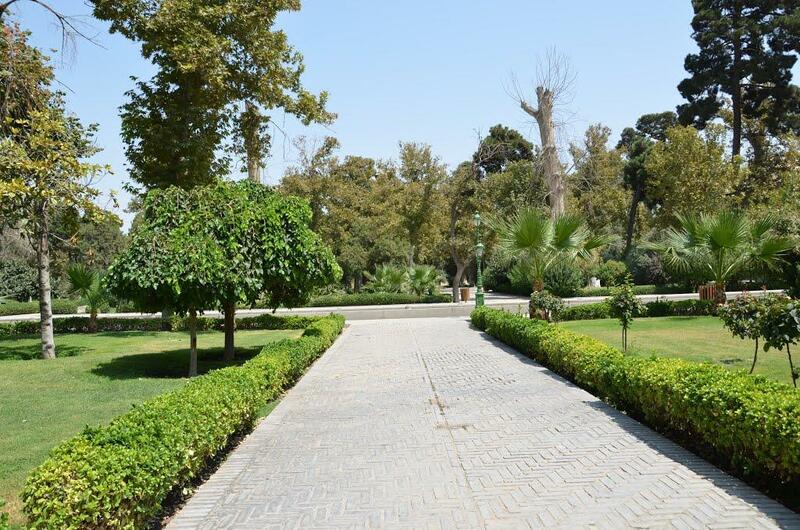 The smaller garden on the west, referred as the Takht-i Marmar garden, is oriented along a north-south axis, with a small degree of rotation along the northeast-southwest axis. 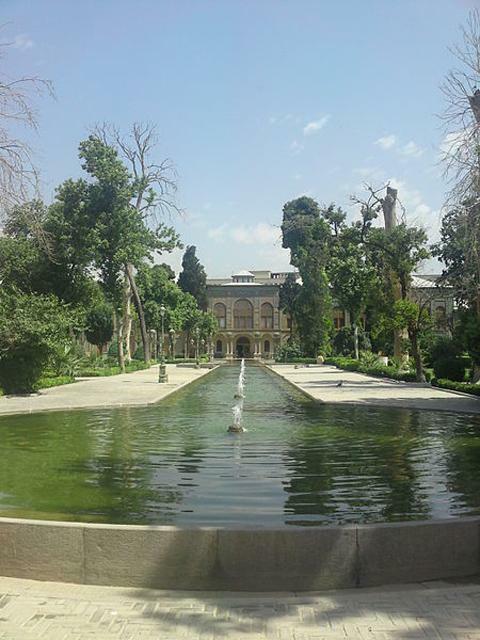 A water channel runs down the garden's central axis. 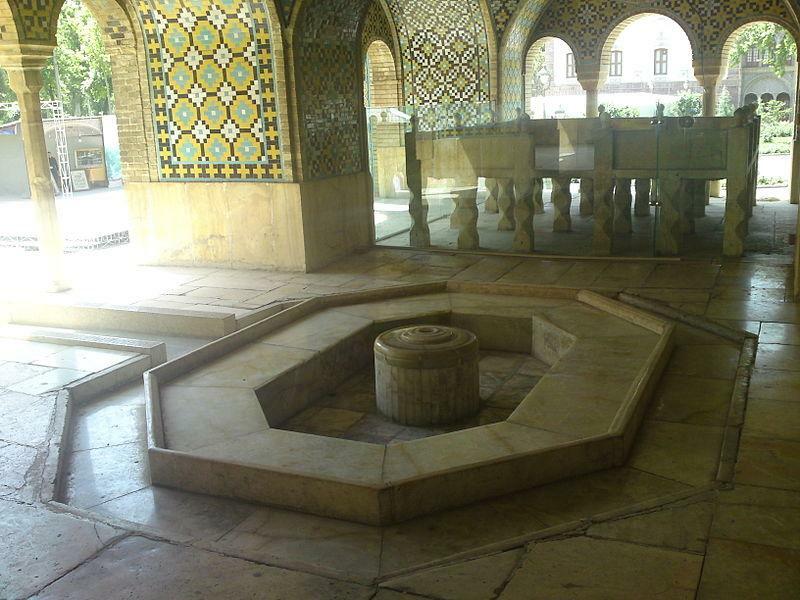 The larger garden, called the Golestan garden, is roughly square in plan and with a small degree of rotation to northwest-southeast. 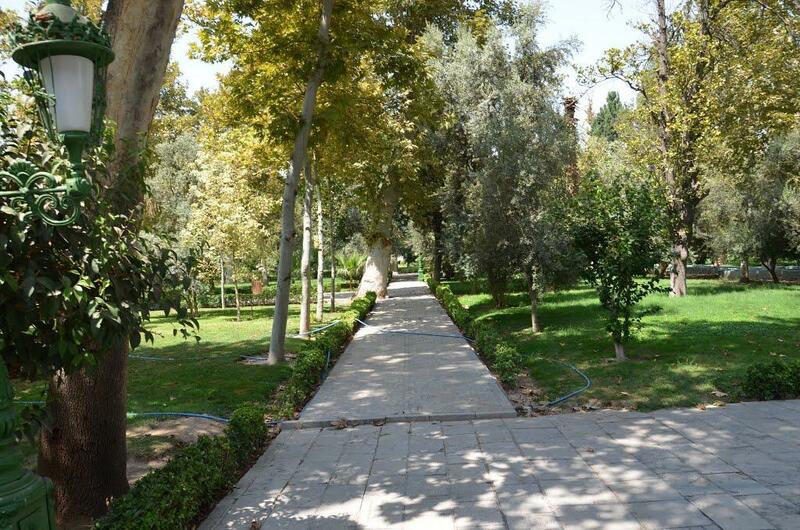 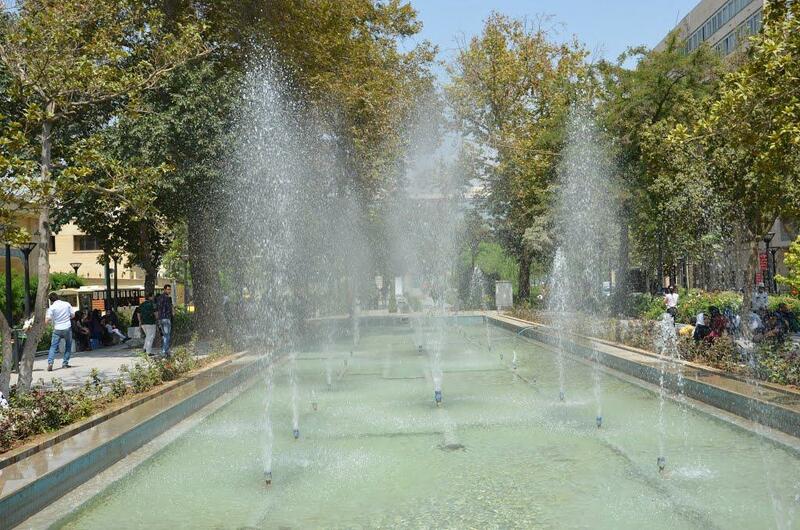 It features a water channel that runs north-south along its western side, near its border with the Takht-i Marmar garden. 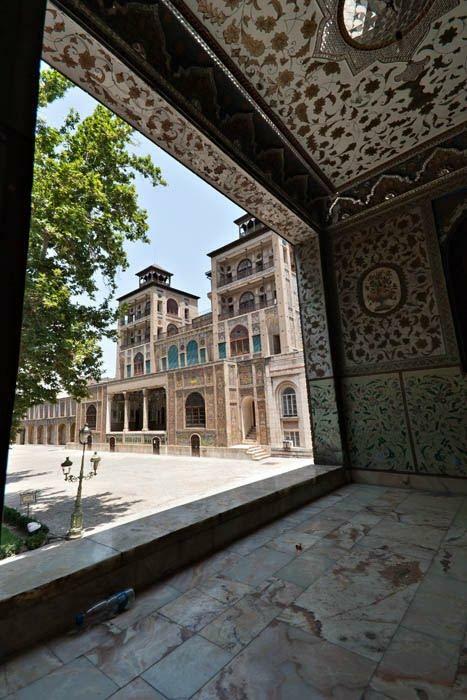 In its present form, it comprises several different buildings and halls, including the following: the Imarat-i Takht-i Marmar, (also called the Marble Throne Building, Iwan-i Takht-i Marmar, or Iwan-i Marmar, 1759), the Khalvat-i Karim Khani (Karim Khani Palace, 1759), the Talar-i Almas (Diamond Hall, 1801), the Imarat-i Badgir (Wind-Tower Building, 1813), the Talar-i Aaj (Hall of Ivory, 1863), the Shams al-Imarat (Shams-ol Emareh, or Sun Building, 1866), the Talar-i Salam (Reception Hall, 1874), the Mouze-i Makhsous (Special Museum, 1874), the Talar-i Ayeneh (Hall of Mirrors, 1874), the Imarat-i Brelian (Talar-i Brelian, or Hall of Brilliant Diamonds, 1874), the Kakh-i Ab'yaz (White Palace, 1890), and the Chador Khaneh (Tent House). 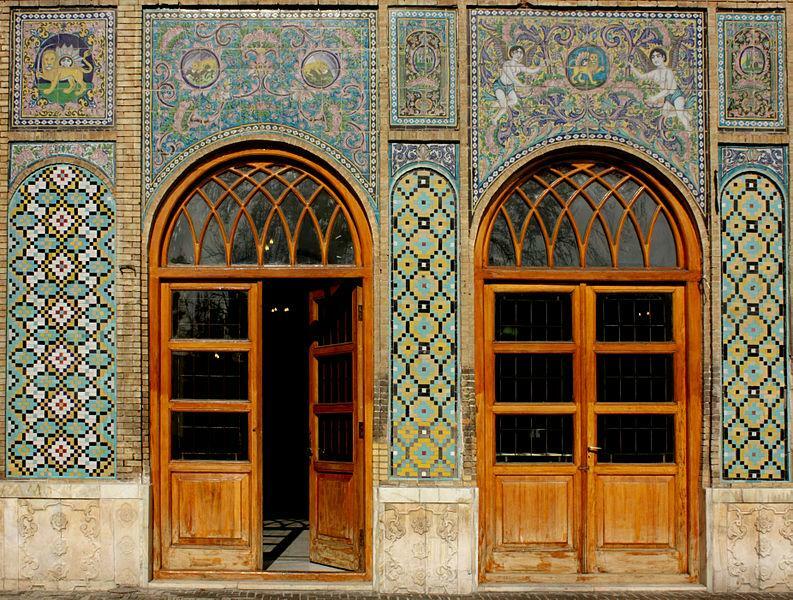 The characteristic architectural structures of the Qajari era retain authenticity in design and layout and have preserved the exceptional interior and exterior façade decorations. 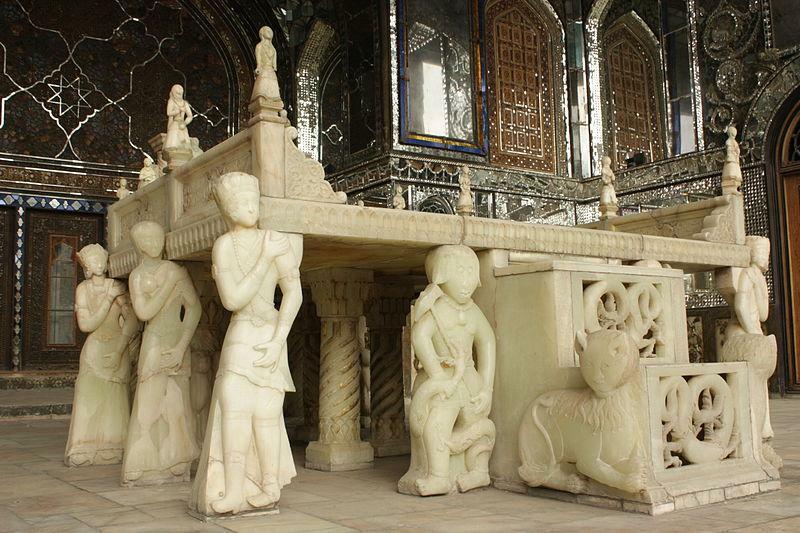 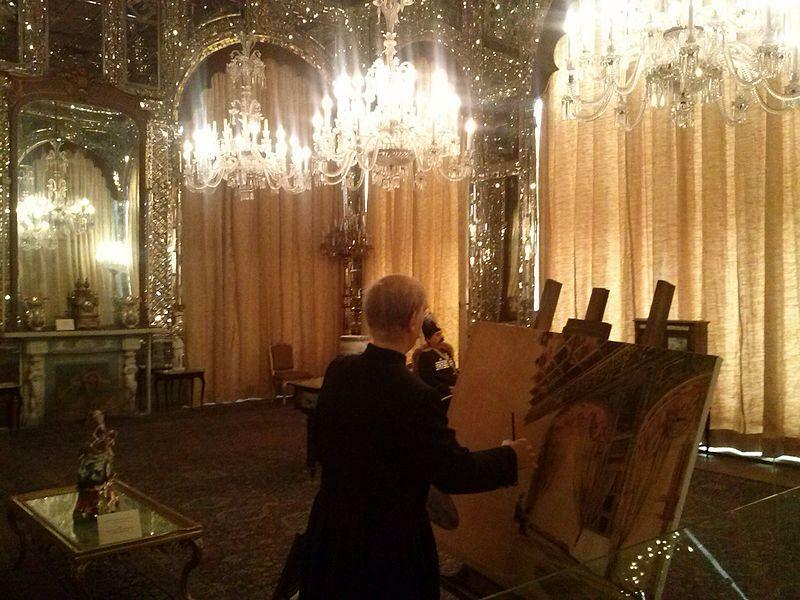 All conservation activities carried out have paid due respect to authenticity of material, design and workmanship. 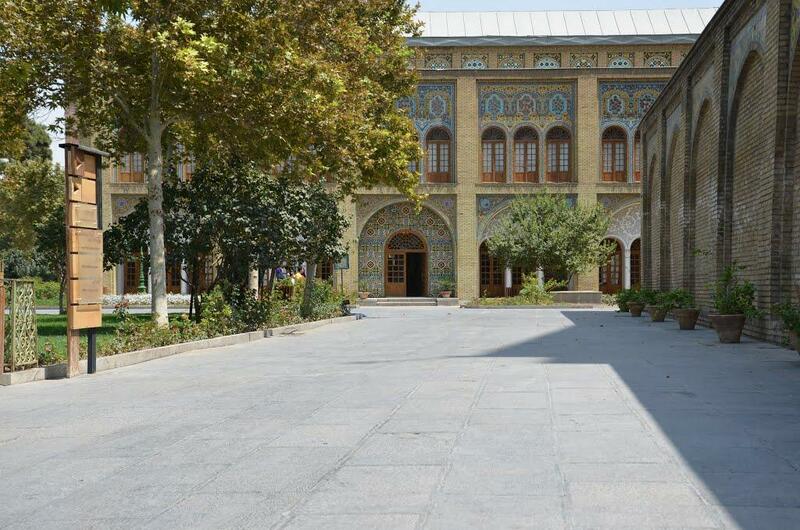 In addition, the palace complex has partly retained its use and function, in particular those galleries and wings that were created as museums during Qajari times. 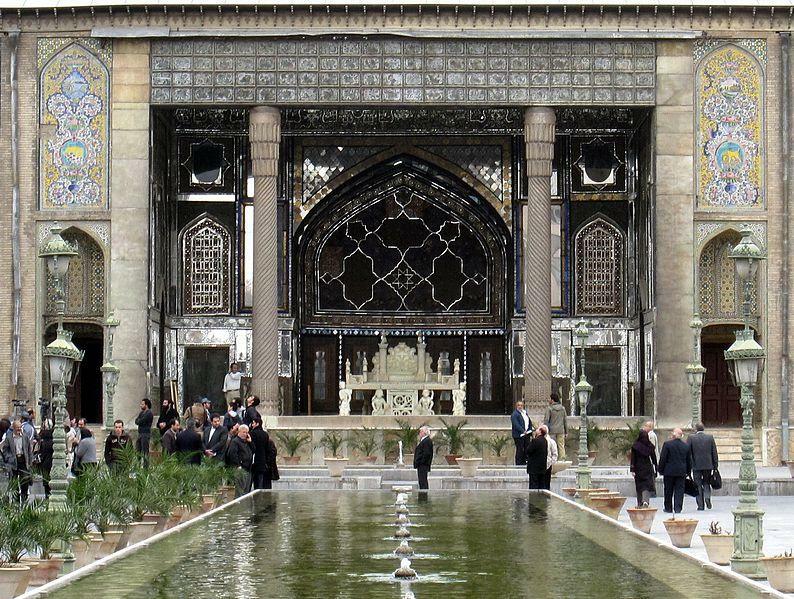 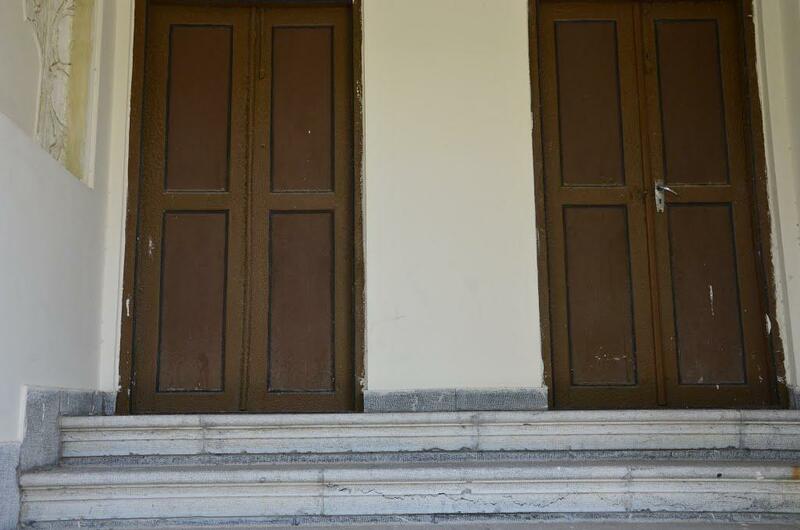 Many of the residential, representative and administrative rooms have changed purpose but the palace is still used as a location for contemporary state activities.